1980-02-04. New. Ships with Tracking Number! INTERNATIONAL WORLDWIDE Shipping available. Buy with confidence, excellent customer service! HOUGHTON, MIFFLIN & COMPANY. BOSTON 1980. Fine with no dust jacket. 1980. First Edition. Softcover. UNCORRECTED PROOF. SIGNED by Russell Banks. Fine in plain pale ochre colored printed wrappers. According to the author, changes were later made in the finished book which differ from this early galley. .
Boston: Houghton Mifflin. 1980. A review copy. Signed by the author. Fine in a very near fine dust jacket with one tiny edge tear. Review slip laid in. First Edition. Hardcover. Fine. New York, NY, U.S.A.: Houghton Mifflin, 1980. 1st Edition. Hardcover. Fine/Near Fine. 8vo - over 7¾ - 9¾" tall. 8vo., 326pp. Beautiful unread First Printing, square, tight and clean throughout with no discernible wear. Attractive unclipped wrapper has some rubbing to the front fold and a touch of edge-wear but very minor soiling and a touch of edge-wear but no creasing, chipping or tears. A sharp, well-preserved copy of the author's 5th book, inscribed by him on the flyleaf. Ballantine Books, 1986-05-12. Mass Market Paperback. Used:Good. 1996-09-06. New. Ships with Tracking Number! INTERNATIONAL WORLDWIDE Shipping available. Buy with confidence, excellent customer service! Boston: Houghton Mifflin, 1980. First. hardcover. fine/near fine. First edition. 326 pages. 8vo, tan cloth, dust wrapper. Boston: Houghton Mifflin, (1980). A near-fine copy. Author signature-- presentation copy. 1986-05-12. Good. Ships with Tracking Number! INTERNATIONAL WORLDWIDE Shipping available. May not contain Access Codes or Supplements. May be ex-library. Shipping & Handling by region. Buy with confidence, excellent customer service! 1980-02-04. Good. Ships with Tracking Number! INTERNATIONAL WORLDWIDE Shipping available. May not contain Access Codes or Supplements. May be ex-library. Shipping & Handling by region. Buy with confidence, excellent customer service! Boston: Houghton Mifflin Company, 1980. 1st Printing. ix, 326p., dj, SIGNED by the author. Ballantine Books. Used - Very Good. Very Good condition. Houghton Mifflin. Hardcover. 0395290856 New Condition. . New. Harper Perennial. PAPERBACK. 0060977078 New Condition. . New. 1996-09-06. Good. Ships with Tracking Number! INTERNATIONAL WORLDWIDE Shipping available. May not contain Access Codes or Supplements. May be ex-library. Shipping & Handling by region. Buy with confidence, excellent customer service! Boston: Houghton and Mifflin. VG/VG. 1980. First Edition. Hardcover; First Printing. A little soiling to the boards, some edgewear to the DJ. .
Houghton Mifflin. Hardcover. 0395290856 Like New Condition. . Fine. Harper Perennial. PAPERBACK. 0060977078 Like New Condition. . Fine. Harper Perennial, 1996. Paperback. New. 8 x 5.31 cm. New York: Ballantine Books . Very Good. 1986. First Thus. Mass Market Paperback. 0345330749 . First edition thus. 309 pages. Spine heel rear corner bumped else Near Fine copy [cheap text paper just starting to tan]. .
NEW YORK: HARPER-PERENNIAL. G+ IN WRAPS. REMAINDER MARK. PAGES TONING. Pages: 336. . 1996. LATER PRINTING. TRADE PAPERBACK.. FAINT STICKER SCAR FFEP. TEXT BLOCK CLEAN & TIGHT. . Condition: G+ IN WRAPS. REMAINDER MARK. PAGES TONING. Pages: 336. Harper Perennial, 1996-03-27. Later Printing. Paperback. Used:Good. New York:: HarperPerennial,, (1996.). Fine in illustrated wrappers. . Trade paperback. 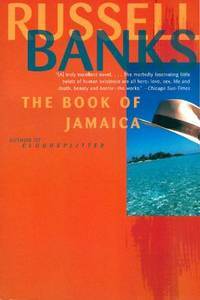 Novel with explores the complexities of political life in the Caribbean and its racial conflicts. 336 pp. Harper Perennial. PAPERBACK. 0060977078 *BRAND NEW* Ships Same Day or Next! . New. Harper Perennial. PAPERBACK. 0060977078 *LIKE NEW* Ships Same Day or Next! . Fine. HarperCollins, 1999. Softcover. VG+. Rubbing, l. Novel of racial conflict and the complexities of political life in the contemporary Caribbean. Houghton Mifflin, 1980-05-21. Hardcover. Good. Ballantine Books, 1986-05-12. Mass Market Paperback. Good. Harper Perennial, 1996-05-08. Paperback. Good. Random House Publishing Group, 1986. Mass Market Paperback. Acceptable. Disclaimer:A readable copy. All pages are intact, and the cover is intact. Pages can include considerable notes-in pen or highlighter-but the notes cannot obscure the text. An ex-library book and may have standard library stamps and/or stickers. At ThriftBooks, our motto is: Read More, Spend Less.Dust jacket quality is not guaranteed. U.S.A.: Harper Perennial, 1996. very good trade paperback with some wear. Trade Paperback. Very Good. Harper Perennial. Used - Very Good. Great condition for a used book! Minimal wear. Houghton Mifflin. Used - Good. Former Library book. Shows some signs of wear, and may have some markings on the inside. Ballantine Books. Used - Good. Ships from Reno, NV. Former Library book. Shows some signs of wear, and may have some markings on the inside. 100% Money Back Guarantee. Shipped to over one million happy customers. Your purchase benefits world literacy! Houghton Mifflin. Used - Very Good. Former Library book. Great condition for a used book! Minimal wear. New York: Ballantine Books. Good with no dust jacket. 1986. 1st Printing. Paperback. New York: Ballantine Books. Good with no dust jacket. 1986. Paperback. Harper Perennial. Used - Good. Good condition. Houghton Mifflin Company, 1980. Hardcover. Good/Good. Dust jacket slightly worn and torn along the top edge of the front cover. Library stamps on the bottom edge of pages and on the title page. Pages in good condition. HarperCollins Publishers, 1996. Paperback. As New. Disclaimer:An apparently unread copy in perfect condition. Dust cover is intact; pages are clean and are not marred by notes or folds of any kind. At ThriftBooks, our motto is: Read More, Spend Less.Dust jacket quality is not guaranteed. Random House Publishing Group, 1986. Mass Market Paperback. Very Good. Disclaimer:A copy that has been read, but remains in excellent condition. Pages are intact and are not marred by notes or highlighting, but may contain a neat previous owner name. The spine remains undamaged. At ThriftBooks, our motto is: Read More, Spend Less.Dust jacket quality is not guaranteed. HarperCollins Publishers, 1996. Paperback. Very Good. Disclaimer:A copy that has been read, but remains in excellent condition. Pages are intact and are not marred by notes or highlighting, but may contain a neat previous owner name. The spine remains undamaged. At ThriftBooks, our motto is: Read More, Spend Less.Dust jacket quality is not guaranteed.